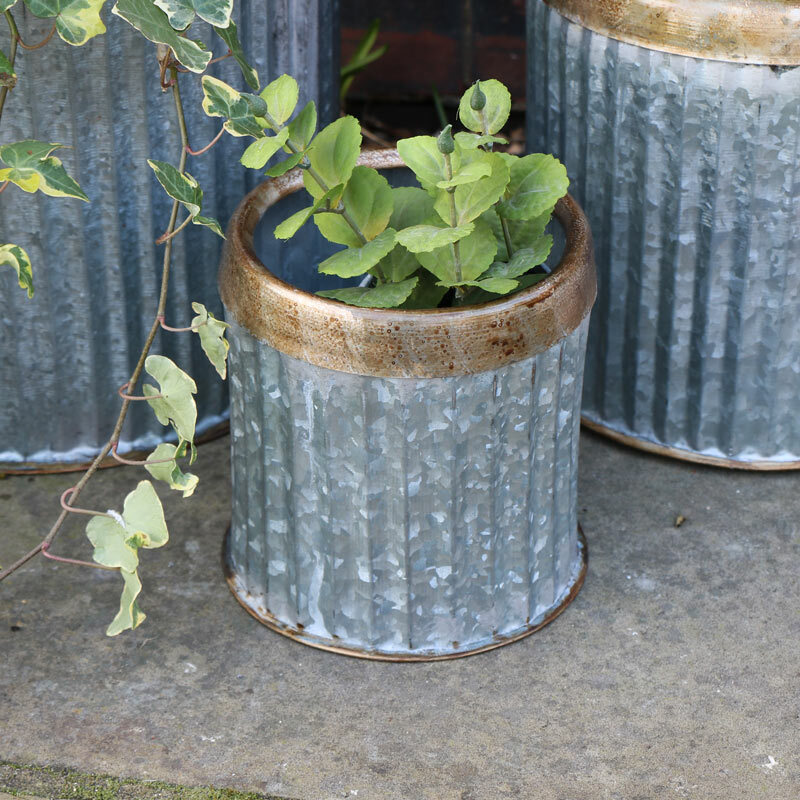 Industrial style metal plant pot. Grey ribbed effect with brass style roll top. Perfect for the home and garden. Ideal little planter for flowers and plants. Stylish industrial design that can be used indoors or outdoors for a rustic, industrial look. With a great choice in planters, planters and plants stands to choose from. 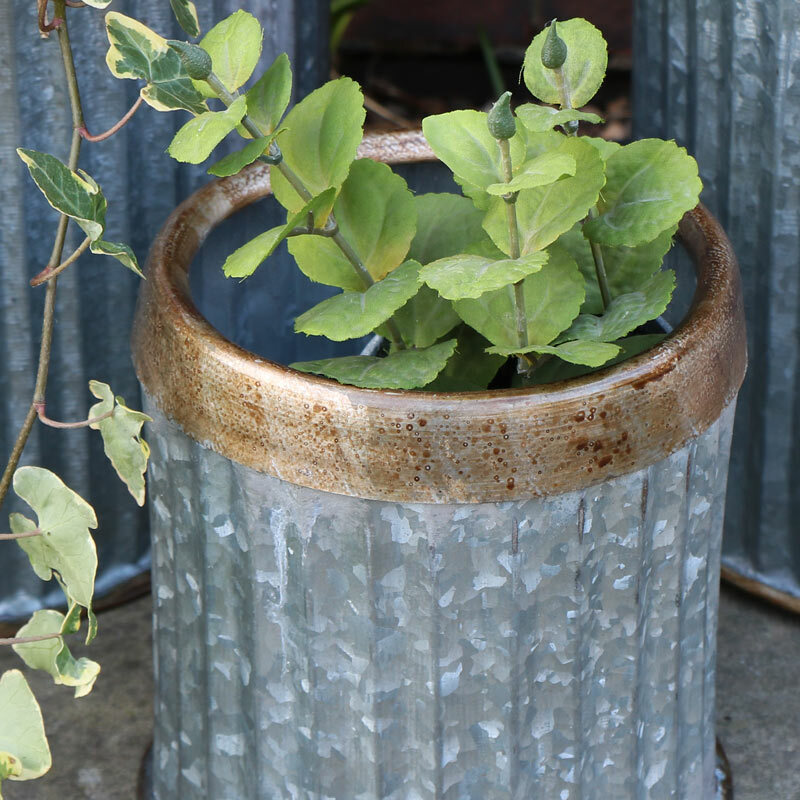 Industrial style metal plant pot. Grey ribbed effect with brass style roll top. Perfect for the home and garden. Ideal little planter for flowers and plants. Stylish industrial design that can be used indoors or outdoors for a rustic, industrial look. With a great choice in planters, planters and plants stands to choose from. Made from metal in grey and brass effect finish. Please note these planters are not watertight.